OVERVIEW: Laugh, cry and win when WIN WIN comes to Blu-ray and DVD on August 30, 2011 from Twentieth Century Fox Home Entertainment. 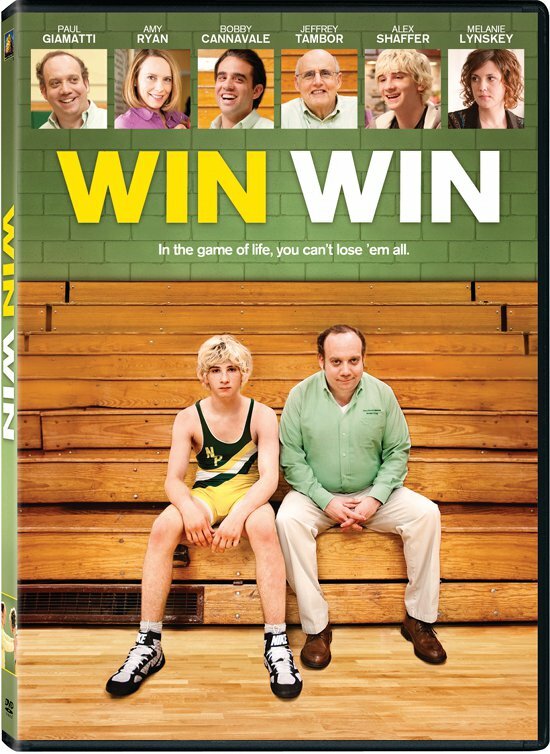 WIN WIN is not just another sports movie; the unconventionally uplifting film combines action on the mat with the hilarious highs and heartbreaking lows of a new kind of family. Indie film writer-director Tom McCarthy (The Visitor) guides a celebrated cast including Academy Award® nominees Paul Giamatti (Sideways, “John Adams”), Amy Ryan (Gone Baby Gone) and high school wrestling star and newcomer Alex Shaffer in this quirky coming-of-age tale. 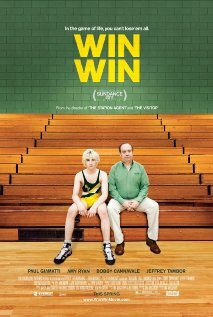 SYNOPSIS: Academy Award® Nominee Paul Giamatti* stars as a lovable yet long-suffering lawyer and high-school wrestling coach who takes us on a brilliantly heartfelt journey through the game of life...where you can't lose ’em all. When Mike Flaherty (Giamatti) comes across a teenage runaway who also happens to be a champion wrestler, Mike’s luck turns around in spectacular fashion. But his win-win situation soon becomes more complicated than he ever imagined when the boy’s family affairs come into play. Co-starring Oscar® Nominee Amy Ryan** and directed by Oscar® Nominee Tom McCarthy†, this touching and funny comedy will leave you cheering. DVD: The film is presented in widescreen with a 2.40:1 aspect ration preserving its theatrical format. Fox Home Entertainment has done it again with this transfer. Not only the picture looks excellent in this release, also the sound it is good. A Dolby Digital English 5.1 and French 5.1 Surround Sound providing a nice complement to the picture it also includes English, French and Spanish subtitles.